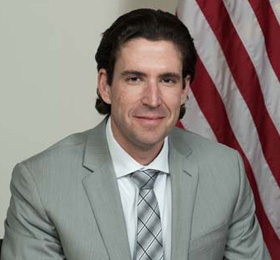 Serving as the City Attorney and legal advisor of the City Council, Ross Luzum holds overall responsibility to commence, prosecute, and defend all suits and actions on behalf of the City, or that are ordered by the City Council. Ross attends the meetings of the City Council and offers his legal opinion upon any matters submitted either orally or in writing, as needed. Ross is also responsible for drafting or reviewing ordinances, contracts, and franchises for legal correctness. Ross is a Private Practice attorney for Powell & Luzum Law Offices in Aurora and is also currently serving as Deputy Hamilton County Attorney for Hamilton County, NE. Ross is a member of the Nebraska State Bar Association and the Nebraska County Attorney’s Association. He has served as a Nebraska High School Mock Trial Scoring Judge, a Member of the Hamilton County 1184 Child Abuse/ Neglect Investigation and Treatment Team and a member of the Fifth District Through the Eyes of a Child Team. Actively involved within the community, Ross serves on the Board of Directors for the Edgerton Explorit Center and the Aurora Area Chamber & Development Corporation.He is on the board of directors for Poco Creek Golf Course. He has been a Presenter for the Hamilton County Senior Citizens’ Academy and a Nebraska Special Olympics Torch Runner. Ross is a member of the Aurora Evangelical Free Church and enjoys spending time with his family and friends, Reading, Running, Golfing, and watching Denver Broncos and Nebraska Husker football. Graduating from Peru State College, Ross received his Bachelor of Science Degree in Social Science and his Juris Doctorate Degree from the University of Nebraska College of Law. Ross’s wife Sara is a teacher at the Aurora Public Schools, and he has three sons, Payton, Joe, and Hank.